“Art is subjective” – a phrase I’m sure you’ve heard, and even said once or twice. Usually in response to someone who has made some rather critical comments about a particular artist or piece of work you like. Whether it’s a painting, a song, a photograph, or a sculpture. There’s always going to be two camps – those who love it, and those who don’t. 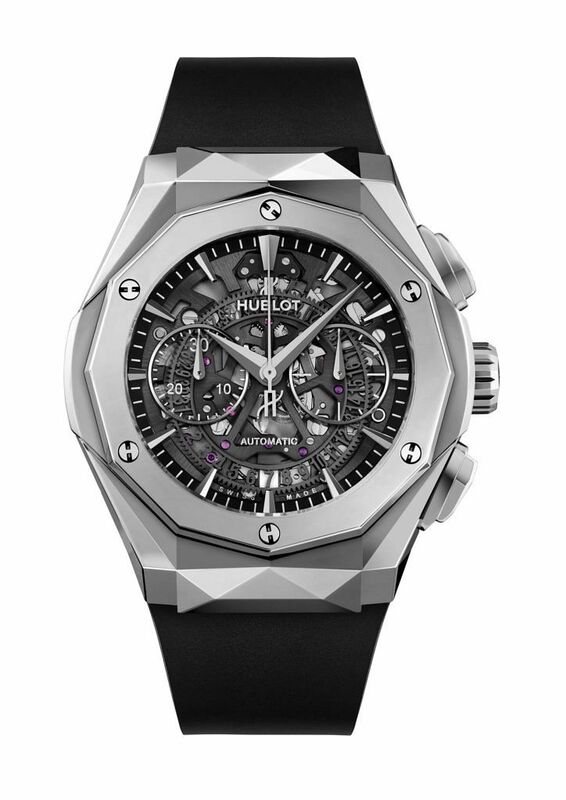 And like art, Hublot‘s bold and sometimes brash designs often divide opinion. But that hasn’t stopped them from pushing the envelope, and developing some incredibly innovative designs. Because you see, Hublot loves art. It’s part of their DNA. And over the years they’ve collaborated with countless artists. From tattoo artist Maxime Büchi to street artist Tristan Eaton. 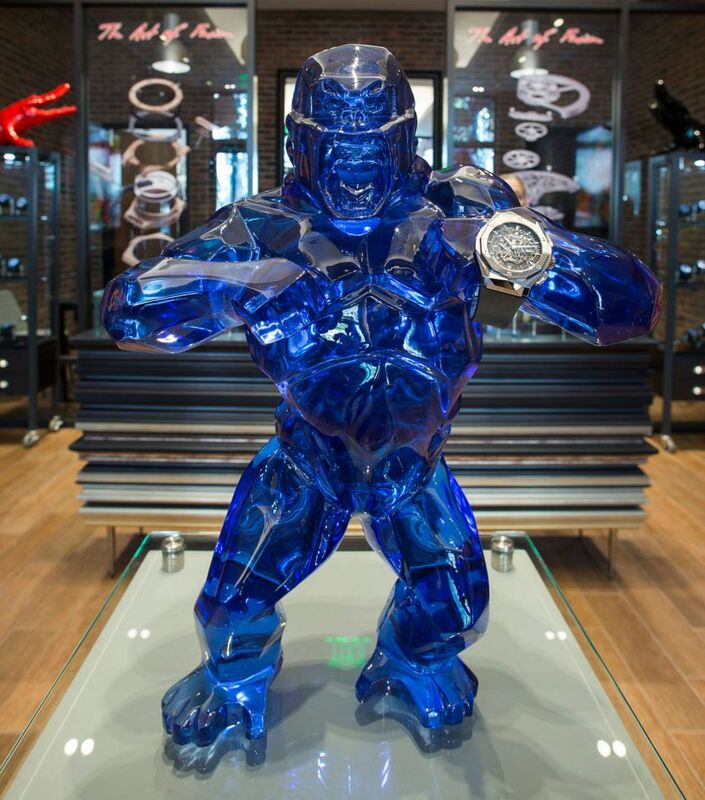 And this year, bestselling French contemporary artist Richard Orlinski. Centred on his “Born Wild” concept, Orlinski’s work is brought to life by brightly coloured sculptures cut with multiple diamond-like facets. His Pop Art-style beasts – seen all around the world – ranging from his “Wild Kong” gorilla sculpture on the Croisette in Cannes to a 5-metre tall bear on the snowy slopes of Courchevel. 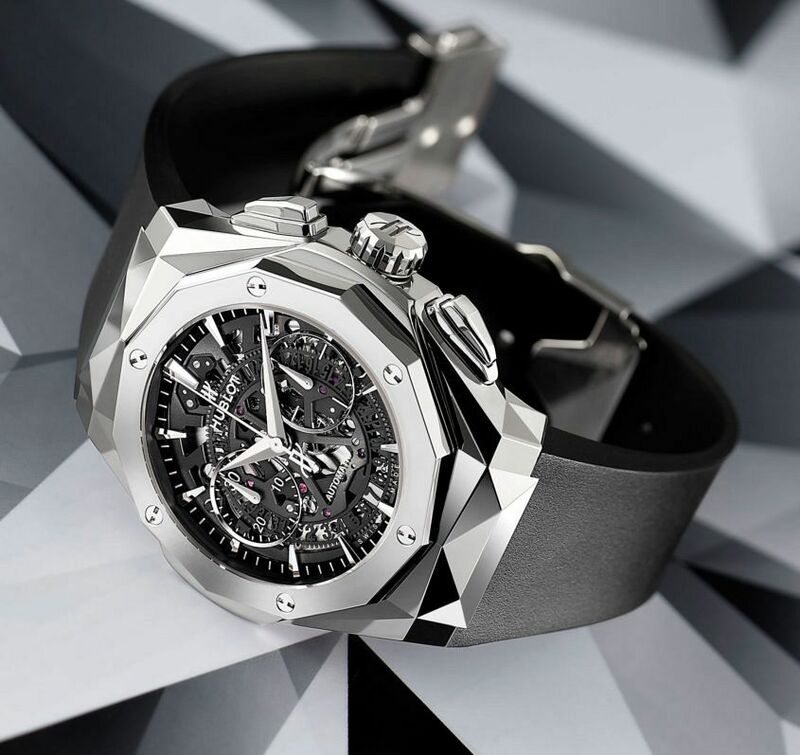 Now bringing his radical approach to watches, Richard Orlinski has designed a completely new geometric case for Hublot’s latest edition of the Classic Fusion Aerofusion Chronograph. Adorned with numerous reflecting ridges and facets, which cover everything from the bezel to the pushers. The three-dimensional fold of the 45mm case had to be moulded before it could be cut from either titanium or ceramic, and then finished with – another one of the artist’s iconic signatures – mirror polishing. Inside is the Hublot Caliber HUB1155. The same 42-hour self-winding chronograph movement that we’ve seen used in previous versions of the Aerofusion Chronograph. And on the face, a transparent sapphire crystal dial also remains. However, this time the Aerofusion’s hands take on the facets of the case and are transformed to a more traditional dauphine style. The Classic Fusion Aerofusion Chronograph Orlinski is paired with a smooth black rubber strap, and both versions – titanium and blue ceramic – will be limited to 200 pieces.